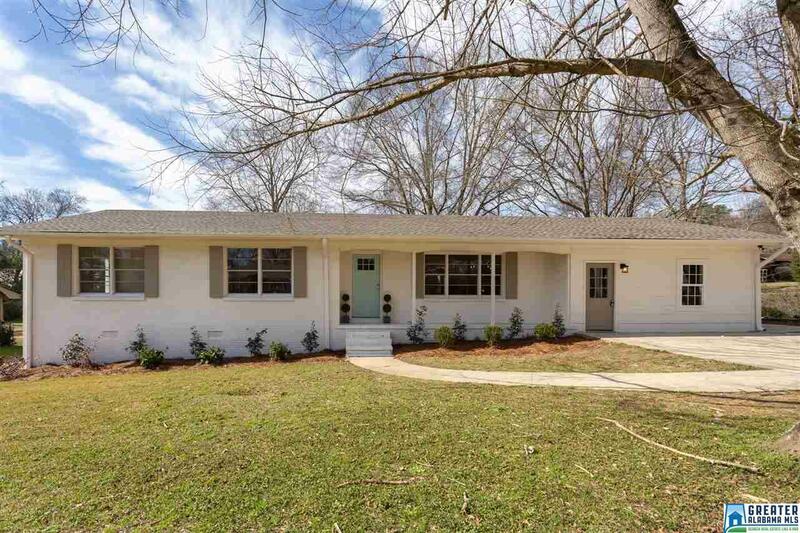 Beautifully renovated 3 bedroom, 2 bath home located on a cul-de-sac street just minutes from I-65. Easy access to local shopping, hospitals, and downtown. Kitchen has been redesigned to provide an open concept making entertaining a pleasure. Kitchen has beautiful quartz counter tops and an island. Lots of natural light throughout the home. A large bonus room off the kitchen can be used as a play/recreation, craft room, or whatever meets your needs, and includes the laundry room. Large master bedroom with a new bath has a walk-in shower. Lovely hardwood floors. The fenced back yard has a workshop, with electricity, and a storage shed. Home has a new roof. Don&apos;t miss out on this awesome home! Driving Directions: I-65 North; Exit At Alford Avenue. Turn Left And Go To Audubon Circle. House Is On The Right.